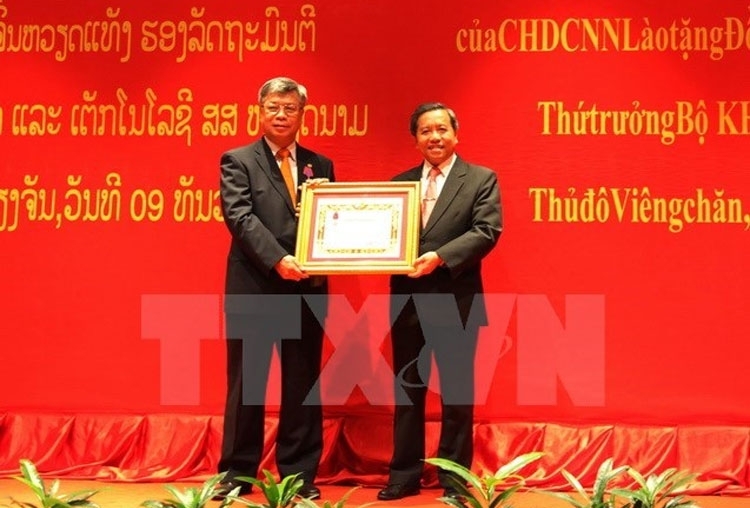 Laos’s Issara Order (third class) has been presented to Vietnamese Deputy Minister of Science and Technology Tran Viet Thanh to recognise his devotion to Laos’s science-technology development. He was conferred with this Order by the country’s Minister of Science and Technology Boviengkham Vongdala in Vientiane on December 9. The Order aims to recognise his excellent achievements and wholehearted dedication to assist Laos in this field, especially in making legal science and technology documents and in professional activities. His efforts were said to have considerably contributed to the reinforcement of the friendship, unity and comprehensive cooperation between the two Parties, States and peoples. Speaking at the presentation ceremony, Thanh expressed his honour to receive the noble Order of the Lao State, considering it as the Lao Government’s recognition of the close and fruitful cooperation between the two countries’ ministries of science and technology. 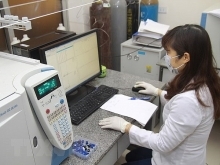 He said he wants to join the ministries’ officials in continuously fostering bilateral science-technology connections in a more effective manner.